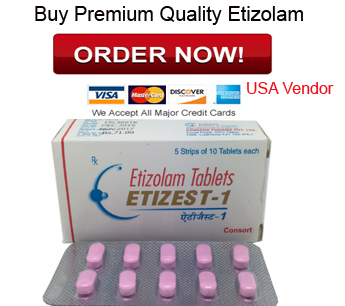 Etizolam OR Phenibut Which One Is Best For Anxiety? Anxiety seems to plague many people in our current society. Life can be hard, and sometimes we need a little help. From someone dealing with every day stress of life or rather someone suffering from OCD and PTSD, it can be easy to turn to drugs to help cope. But ultimately we have to talk to our doctors and find out what they say. The thing about doctors is everyone has his or her own opinion when it comes to medications. You can go in and ask for a specific medication or try out what they recommend you take. Today you can find a decisive debate online though about two particular drugs. These are two incredibly different drugs that both have their place in the medical world. While one is considered a controlled substance, the other is considered a mere supplement in some countries. So why do these two have such a following? Well according to many reviews online the answer is beyond simple. They work. Even if they work in different ways, they can help though with debilitating anxiety cope with everyday stress or simply help someone with insomnia. Let’s take a look as to how different these two are yet how they can help someone with the same issues. There are many names for Etizolam like Etilaam and Etizest, but whatever it is called it is a widely known and potent thienodiazepine throughout the world. While it is a synthetic and quick acting drug that promotes muscle relaxing and euphoria, it is more widely used as an anxiety suppressant and a sedation medication. – United States: Etizolam is a controlled substance in the following states: Alabama, Arkansas, Florida, Mississippi, Virginia, Texas, Louisiana, Georgia, and Indiana. Many people have been known to seek it out to use for recreation purposes since it gives a unique and potent high to the recipient. A relatively small dose can give the same feeling and effect as a typical dose of Valium, Klonopin, or Xanax. It is so powerful and sedating that it is easy to abuse or use for recreational purposes. It can be highly addictive, and in countries that it is legal it is scrutinized and monitored. As with many benzodiazepines, Etizolam is high to forming a dependence and addiction. Many people have reported experiencing blackouts that are common with the over-consumption of alcohol. It can quickly induce fugue states. As always it should be noted that Etizolam as with any benzodiazepine that it is easy to become physically dependent on the drug. When in close contact with your doctor it can be just as safe as any benzo but keep in mind you need absolute trust in yourself before starting it. Elsewhere in the world, Phenibut is not approved for clinical uses or current studies. The issue with currently gathering information for Phenibut is though it may be widely circulated there are few past clinical studies and tests done on the substance. Phenibut is not considered a controlled substance in any country. It is instead sold as a “nutritional supplement.” Phenibut is easily found online, and many people choose to self medicate and self dose. It is used to treat a wide variety of ailments such as depression, insomnia, alcoholism, PTSD, and ultimately general anxiety disorders as well as many other conditions. – allergic reactions such as skin rash and itching. It really boils down to what ails you and after discussing with your doctor what you both decide is right for you and your current lifestyle. Never start taking any type of pill, medication, or substance without first talking to your doctor and discussing the ramifications especially if you are currently on any other kind of medication. Many medications can mix and cause unwanted side effects and adverse reactions. These two drugs can be used to help many of the same issues, but keep in mind that one is considered a controlled substance while one is simply considered a nutritional supplement. These are no where near the same type of medication even if they can help with the same type of disorders. The controlled substance is always going to have a considerably more documented research than a supplement, but it depends on the severity of your personal health and medical issues. Etizolam has had double-blind studies that provide definitive answers. 36 patients who all suffered from generalized anxiety disorder were given either Etizolam or placebos. Analysis of the patients showed that etizolam produced significant improvement in anxiety and depressive symptoms. Phenibut hasn’t had these types of studies conducted as of yet in the UK or US. It boils down to your personal need whether Phenibut or Etizolam is for you. Your doctor wouldn’t give you a benzo simply because you may be anxious about a new promotion at work. These type of drugs are used for serious anxiety issues and severe insomnia. Alternatively, you can self-medicate with Phenibut though that is not recommended.